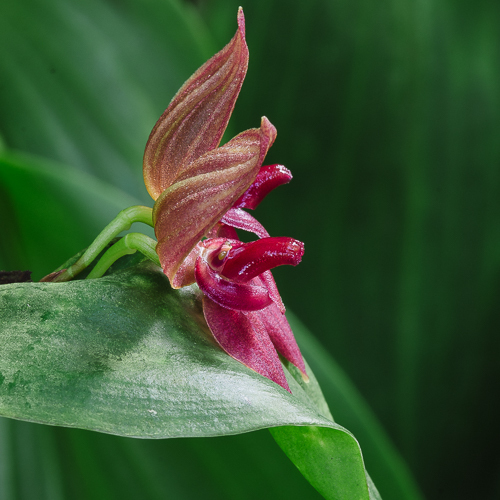 From the front, the flower of Pleurothallis (Acronia) linguifera appears to be a pretty but otherwise unremarkable example of a "frog." Short column. Apical stigma. Concave dorsal sepal. But I had to laugh when I saw it in profile. Whoever named this irreverent flower linguifera (tongue-bearing), pretty much nailed it. 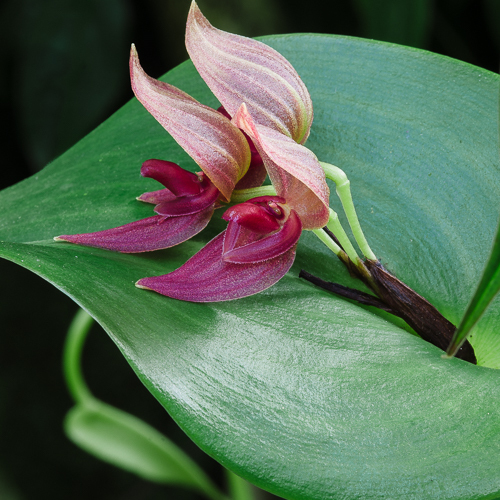 * The 'tongue' is the flower's lowermost petal, or lip. 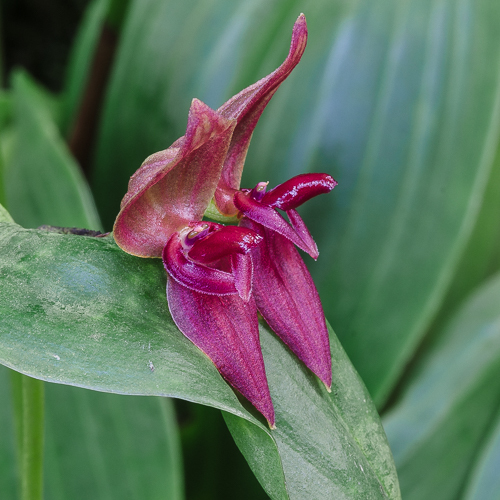 I also like the two lateral petals, which appear to be clasping. Carlyle Luer treats this taxon as a highly variable species-complex including adonis and linguifera. The distributions of the two taxa and their intermediates overlap, making identification difficult. The plant pictured here has characteristics of both species. 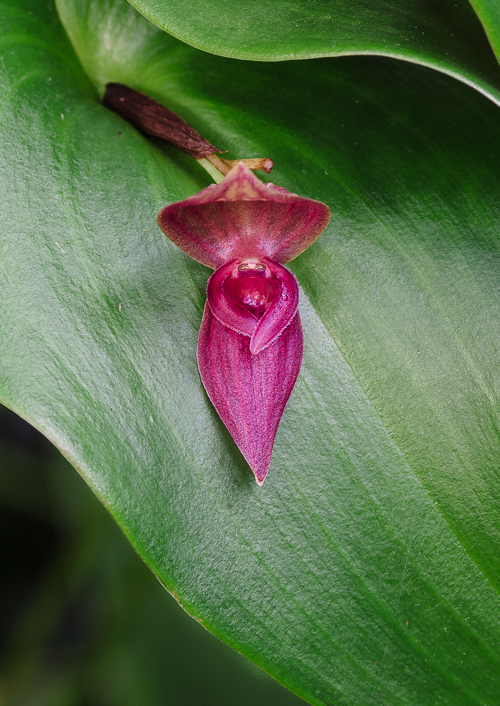 Pleurothallis (Acronia) linguifera complex is widely distributed through the Andes, from Colombia through Bolivia. It grows as an epiphyte or as a terrestrial at elevations as high as 3250 meters. 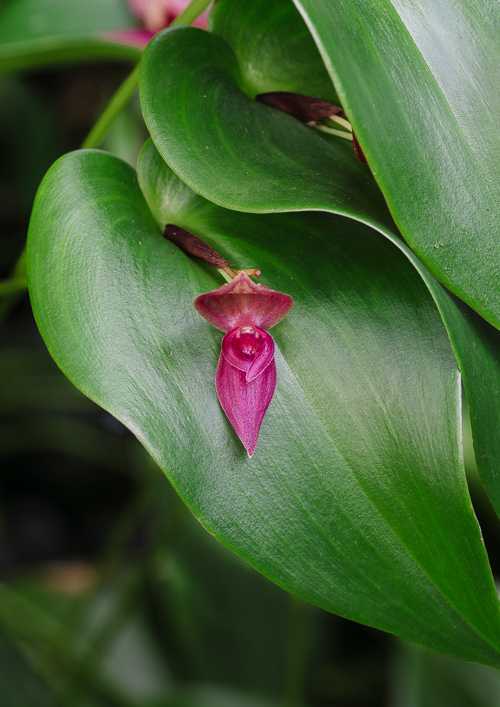 You can see our plants flowering now in the Tropical High Elevation House, growing in one of the trees and rooted in live moss on the ground. Among the "frogs" in our collection that I have pollinated, only this one has refused to set seed. I guess defiance is just part of its character.